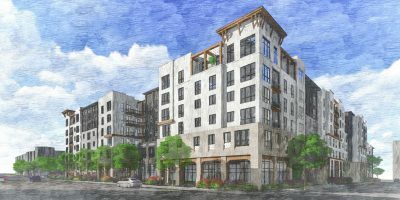 San Francisco city officials and Mission District community leaders broke ground at 1950 Mission St. that will provide 155 affordable housing units. The site was The City’s first navigation center and was formerly Phoenix Continuation High School before the Mayor’s Office Housing and Community Development scooped up the site from the school district and transformed the site into a temporary navigation center. Last year, the Board of Supervisors approved to turn the site into affordable housing units. The units will be available to households with incomes from 40 to 60 percent of the Bay Area median income. Of the 155 units, 40 will go to families that were previously homeless. Households living at the site will include a rooftop garden, a courtyard, a community room with a kitchen, and a workshop for youth that will help teach them to maintain bikes. PODER will host the workshop. 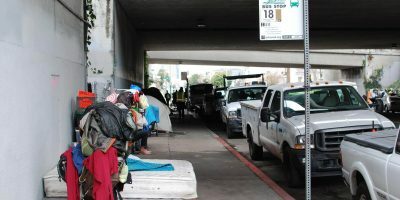 Mission Housing Development Corporation and Lutheran Social Services will help provide on-site supportive services funded by the Department of Homelessness and Supportive Housing. Additionally, Mission Neighborhood Centers will operate a new Head Start and Early Head Start program to provide education for toddlers. 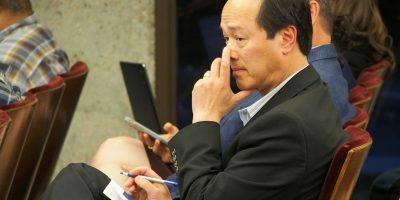 Mitchell Crispell, project manager with Bridge Housing, said the affordable housing site is in a transit-rich neighborhood that includes Muni and BART within walking distance at Mission and 16th streets. The building will also have 264 spaces of bike parking.